A soothing salve composed of a tried-and-true mixture of special soaps and skin friendly oils. 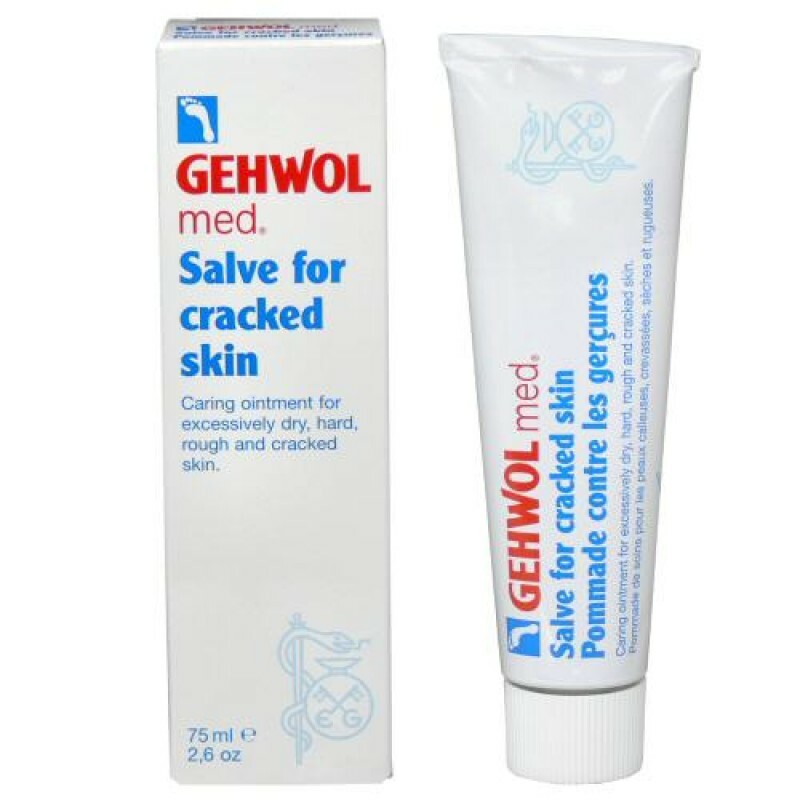 Ideal for severely dry, rough or cracked skin, it helps protect against irritation while helping skin regain its natural elasticity. Medicated soap, lanolin and petrolatum soften hard skin quickly and keep it smooth while bisabolol and panthenol help repair minor dry skin cracks. Eucalyptus, lavender, rosemary, camphor and menthol revitalize, cool and refresh. Directions: Massage well into the skin once or twice a day. 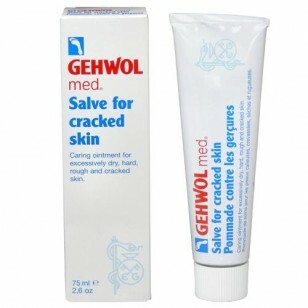 Tip: For even quicker relief, a warm, invigorating GEHWOL Foot Bath is recommended before the Salve.